Every cinephile has that one movie or character that got them interested in cinema to begin with. It might be something classic like Dorothy or Rick Blaine, or someone they grew up with like Indiana Jones or Han Solo, or even the weird and strange ones like the works of David Lynch or Woody Allen. For me, there has always been one movie character that I have adored for over 20 years. Even before I knew that I loved cinema, this character was a huge part of my life. Part of the reason I went to film school was to gain a deeper appreciation for his movies, so that I could adequately explain what makes his 31 films stand out (or not stand out). Because of this, I gained a new love and respect for movies that I wouldn’t have gotten anywhere else, and I feel like I am a better person as a result. If you know anything about me, you know exactly who this movie character is. If you’re new and don’t know much about me, you still probably know who it is through the title of this post. One of my favorite characters, and the one who got me so invested in films to begin with, is Godzilla. 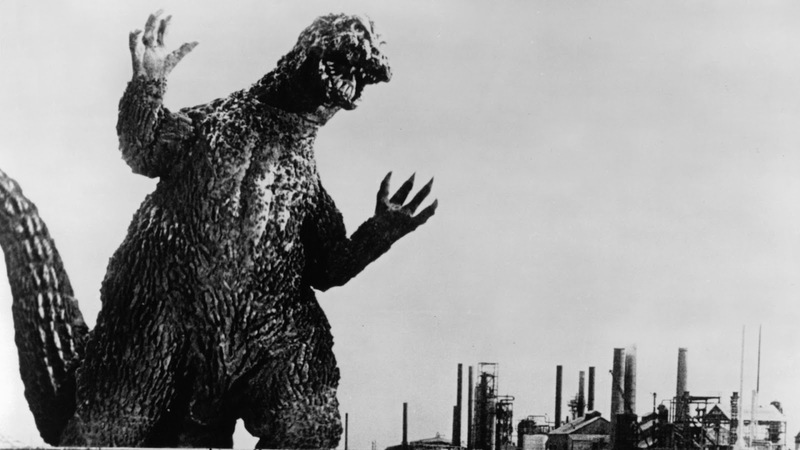 For a long time, I couldn’t describe exactly what it was about Godzilla that I loved so much. All I knew was that I couldn’t take my eyes off him ever since I saw him fight King Kong on top of Mt. Fuji when I was three years old. Maybe it was his roar, which is both terrifying and triumphant. Maybe it was his distinct blue atomic breath that destroyed anything it touched. Maybe it was his badass theme song that still gets me excited to this day. But whatever the reason, Godzilla will always have a place in my heart. Every time I went to Blockbuster as a kid, I would be on the lookout for any Godzilla movies I had never seen. Every Sunday, I would wake up early to get the TV Guide out of the Sunday newspaper, so that I could see if there were any Godzilla movies on TV that week (thank god for the Sci-Fi channel usually having a Godzilla marathon once a month). That was my dedication to the King of the Monsters. But honestly, I probably wouldn’t have done that if it felt like I got to see a new Godzilla movie I had never heard of before every few months. I always felt like a kid in a candy store when some 20-year old Godzilla movie was on that was new to me. Believe me, this happened more often than you would think, mostly because Godzilla is the biggest and longest running movie franchise in the world. Oh, you thought James Bond was the longest and had the most entries. 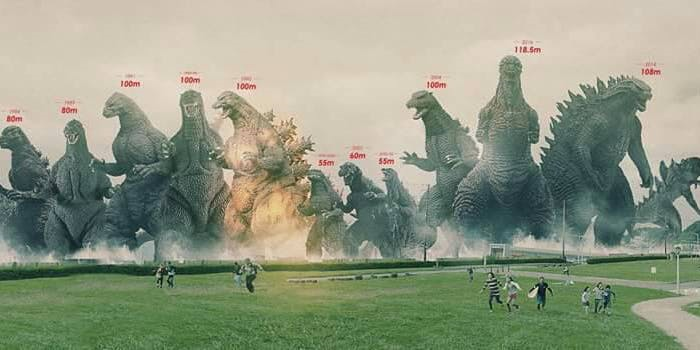 Well, a movie series staring in 1962 and having 23 different entries and a franchise going to this day is impressive, but Godzilla dates back as far as 1954 and there are over 31 films, with three or four more in the works as I type this. Suffice to say, there is no shortage of Godzilla material. 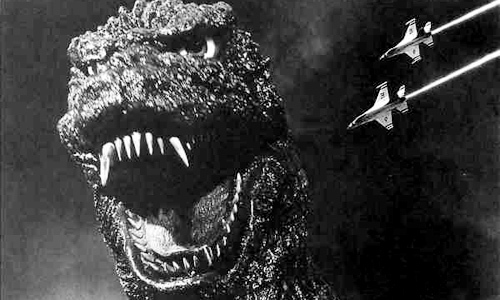 And I have decided to do my biggest undertaking for this website – I am going to review every Godzilla movie ever made, giving my distinct thoughts on each of them. I will be reviewing all 29 Japanese movies and the two American films, starting with my least favorite entry in the series and working my way up to my favorite. This means you will get to witness my take on Godzilla starting with the terrible entries, as I make my way up to the best and most memorable films. 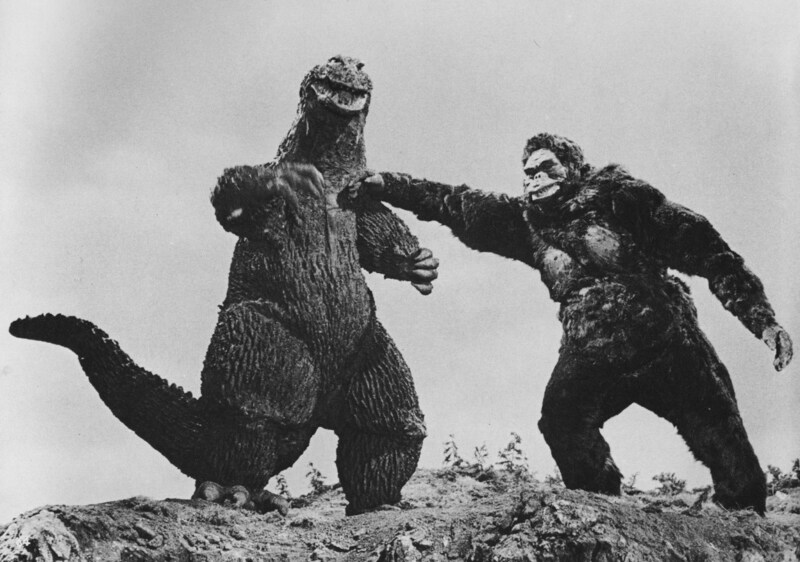 You will get to witness the good, the bad, the strange and the awesome of Godzilla through my perspective. I should also mention that these reviews will have plenty of spoilers, so if you plan to watch these movies anytime soon, I would suggest you do it now and then come back and read my reviews. Then again, some of these movies are over 60 years old now and there should be some age limit when it comes to spoiling movies. These reviews will also be a bit more plot-oriented than my other reviews, as I will be talking about anything and everything that sticks out to me about that movie, both good and bad. So look forward to my biggest and longest project to date, and something that I have been looking forward to for years, as I share my thoughts and feelings on every Godzilla movie.